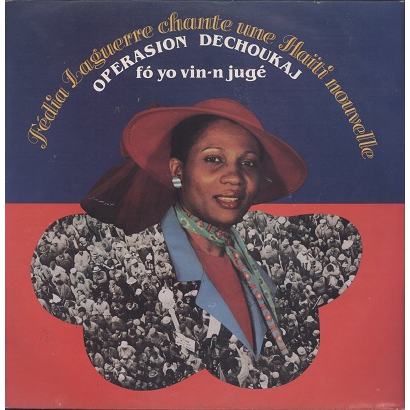 Conscious Haitian fusion LP with political issues about Haiti's history, slavery and the 'Dechoukaj' operations to try the 'Tontons Macoutes' after the Duvaliers reign was ended. Sleeve has seam wear and general aging but still looks decent. Record has superficial scuffs, plays with surface noise sometimes.